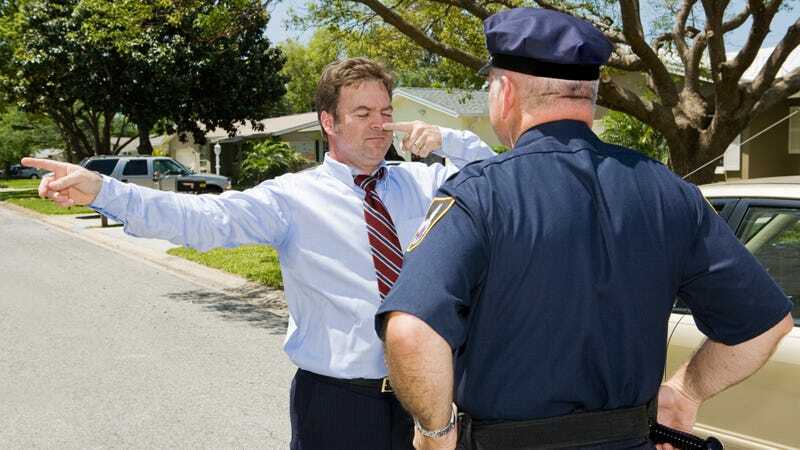 The Kutztown, Pennsylvania Police Department was looking for three volunteers to help train officers in administering field sobriety tests. Turns out a lot of people were willing to drink a whole bunch and then try to walk a straight line, touch their noses, and recite the alphabet backward. The prospective three (and only three) volunteers were required to be between the ages of 25 and 40 and in good health, with a clean criminal history. They also had to “be willing to drink hard liquor to the point of inebriation.” Those accepted with this assignment would not be paid, however, alcohol would be provided. Any volunteers? NPR reports that after the above Facebook post went out, the PD was inundated with volunteers. The post was shared more than 1,600 times and received over 900 comments, such as “I volunteer as tribute!” and “We gonna party at the Cliffs afterwards or go to Sal’s and get a large pizza with ‘Extra cheese.’” Many questioned whether the event was BYO. NPR appears to indicate that the alcohol would be provided. It also points out that the entire Kutztown population is only around 5,000. The original post has since received an all-caps update saying that the job, to out it mildly, has been filled. (“AT THIS POINT WE HAVE ENOUGH VOLUNTEERS FOR THIS TRAINING!”) The lucky three (and only three) people will be contacted by the police chief for the training exercises. Everyone else is still free to drink to the point of inebriation—happy Friday!—but please, don’t drive. How sauerkraut becomes vegan "cheese"